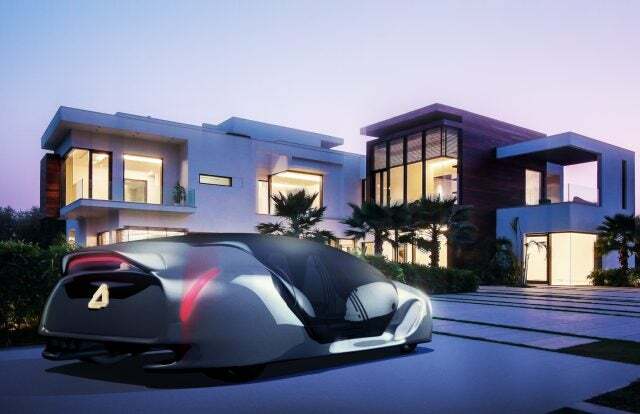 Since 2013, when Elon Musk released his white paper for an emerging mode of transportation using low air pressure within a tube, companies around the world have answered the call to build the next generation of futuristic transportation. Since that time the speed at which companies have developed both technologically and from a business perspective has been nearly as staggering as the 760 mph system itself. This has caused much confusion both in the public and the media. Fortunately, this article is your ticket to understanding the state of the industry as it stands today. The first company to answer the call for building the ultra-high speed mode of transportation was Hyperloop Transportation Technologies (HTT). Since its inception, HTT recognized that creating a market around a mode of transportation that had not yet been created would take a movement. Founded in 2013 by Dirk Ahlborn and Bibop Gresta, HTT started the global movement built around passionate people, companies, and institutions from around the world. People from around the world are joining the movement to engineer the future of transportation. Hyperloop Transportation Technologies collaborates with over 800 field experts from around the world. In addition, HTT has formed partnerships with over 40 companies and universities around the world to create various technical components for this revolutionary transportation system. In January 2017, HTT announced that the company was opening a research facility in Tououse, France to work on prototyping. The company, along with its partners at PreistmanGoode also released the design for its passenger Hyperloop capsule at the London Design Festival. HTT has announced deals with the governments of: Quay Valley, California, USA, Slovakia and Czech Republic (Bratislava-Brno-Prague), Jakarta-Java-Sumatra, Indonesia, Abu Dhabi-Al Ain, United Arab Emirates, Seoul-Busan, South Korea, and Amaravati-Vijaywada, Andhra Pradesh, India. Originally incorporated as Hyperloop Technologies, Hyperloop One is the second company to enter the market to actualize the Hyperloop concept. 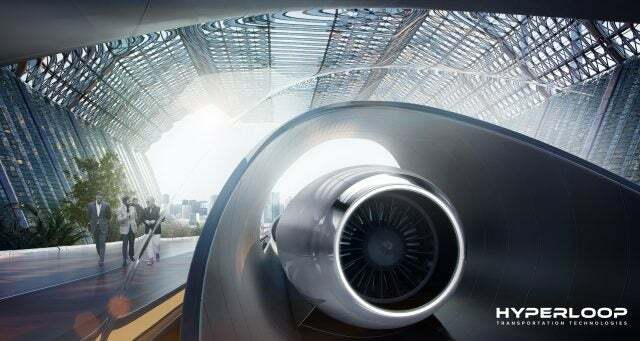 Founded by Shervin Pishevar, along with Brogan BamBrogan and Josh Giegel, Hyperloop One made its entrance into the Hyperloop market on February 2015 with a Forbes article and an announcement of $11.1 million in Series A financing from Sherpa Capital along with three other funds. From the earliest stages, Pishevar saw Hyperloop as a way of revolutionizing the shipping industry and enabling cities to unlock the hidden real estate values in their urban centers. Hyperloop One likewise saw value in creating an ultra-high speed passenger transportation line. 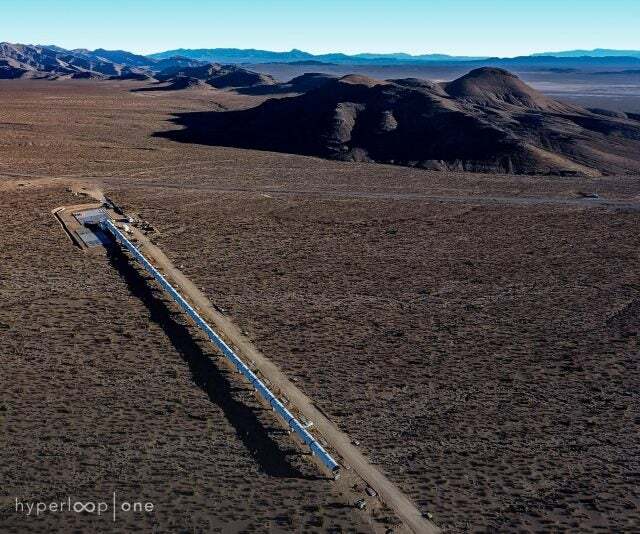 Hyperloop One set up a development site in the desert outside of North Las Vegas Nevada where the company conducted a series of tests, this included establishing the Apex Test and Safety site and conducting a live Propulsion System Open Air Test. In August 2016, Hyperloop One broke ground on Development Loop (DevLoop), which became the world’s first full-scale Hyperloop test track. 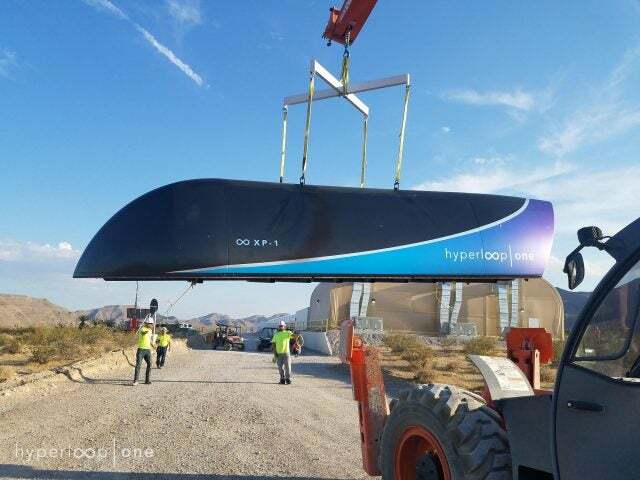 Subsequently, Hyperloop One began testing their full scale system in May 2017 and continued tests throughout the year. On October 12, 2017, Hyperloop One announced that Richard Branson and Virgin Group had invested into Hyperloop One. Along with the global strategic partnership between the two companies that will focus on passenger and mixed-use cargo service, Hyperloop One also announced that the company would be changing its name to Virgin Hyperloop One. Hyperloop One took a unique approach to devising the first Hyperloop routes accepting proposals from entrants around the world to generate enthusiasm for building local hyperloop systems. Hyperloop One has has announced agreements with: Russia, Helsinki-Tallinn, Estonia, Finland, Sweden, Netherlands, Switzerland, Los Angeles, USA, Dubai-Abu Dhabi, and United Arab Emirates. Former SpaceX rocket designer Brogan BamBrogan was one of the initial cofounders of Hyperloop One. During the summer of 2016, BamBrogan along with three of his colleagues departed from Hyperloop One and filed suit against the company for mismanagement and threats. The suit was subsequently settled out of court, and BamBrogan then founded Arrivo. Arrivo wants to operate a large cargo mover by 2020 based on the concept of self-driving pods that are propelled through low-friction passageways at ultra-high speed. Since its founding, Arrivo has recruited around 20 full-time employees and hopes to expand its operations to 60 or more by the end of 2017, with most of the employees having an engineering background. Arrivo is an engineering-led company, which aims to have the technology drive the vision of the company. Arrivo is focused on ways to efficiency, cost-effectiveness and public utility. BamBrogan has recently acknowledged that a next generation transportation model will require more than the brainpower of engineering, but will also need a classic infrastructure finance model. 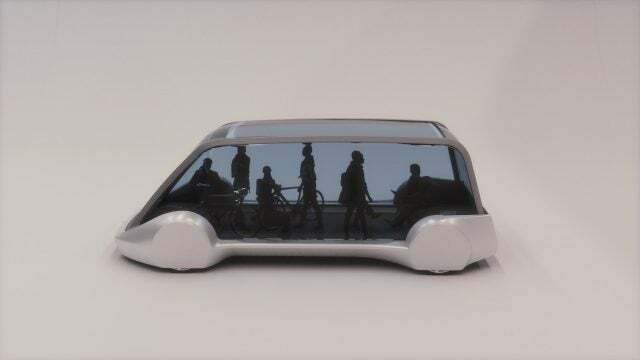 TransPod was founded by Sebastien Gendron and Ryan Janzen in September 2015 as Toronto Hyperloop, which was one of the 120 that competed in Elon Musk’s pod design competition. The TransPod team was quick to recognize the potential of their system, and created their own company to bring their vision to market. Like Arrivo, TransPod takes a physics-first and engineering-first approach to designing its ultra-high speed transportation system from the ground up. Since its founding, TransPod has announced partnerships with seven companies within transportation, aerospace, designing and engineering. 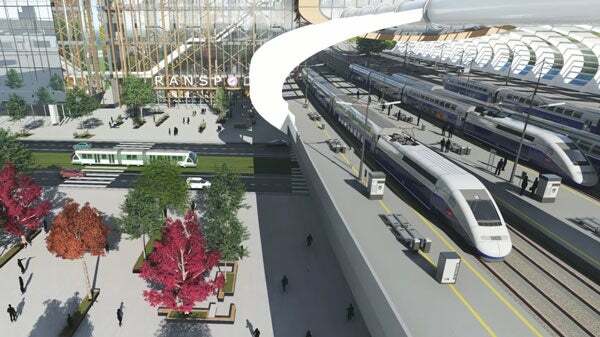 The company has also released an Initial Cost Study for a Hyperloop system running between the Toronto-to-Windsor Corridor, estimating that the cost of their hyperloop system will be half the projected cost of a high-speed rail line along the same route. As the catalyst for the global movement and it was not long before Elon Musk reentered the Hyperloop development sphere. While Musk had supported the development of the Hyperloop market, including holding annual Hyperloop Pod competitions with SpaceX, throughout 2017, Musk has also been developing a company around tunnel boring machines. Applying electrification to TBM processes usually reserved for fossil fuel-driven machinery, Musk’s dive into the TBM market was aimed at reducing the costs while increasing the functionality of the overall transportation system and electrifying the process. Musk wanted to reduce costs along the way by making smaller tunnels while assembling tunnels support structure simultaneously with boring the tunnels. While initially Musk described this technology applying to automobiles, using elevators to lower cars into networks of tunnels and propelling them along magnetic sleds at around 200 MPH, Hyperloop was never far away from development for Musk. During a TED talk in 2017, Musk discussed how his efforts at The Boring Company could be applied to the budding Hyperloop market; including the natural fit for the tunnels to Hyperloop’s need for low atmospheric pressure. Musk has been forthcoming with his desire to apply his TBM technology at The Boring Company towards making ultra-high-speed transportation networks along the U.S. northeastern corridor. In July 2017, Musk announced that he had acquired a verbal permit to build a tunnel from D.C. to New York using his approach from The Boring Company. More recently, they have been given access by the state of Maryland to begin a 10 mile tunnel under federal controlled land. While it is not entirely clear exactly what Musk’s intention is within the broader Hyperloop market, the vertical integration of his companies give him a unique advantage in the market, allowing him to leverage the vertical integration from his companies into transportation, energy, as well as other inputs necessary for building the Hyperloop. The SpaceX competition succeeded in opening up the Hyperloop market to new and innovative companies. 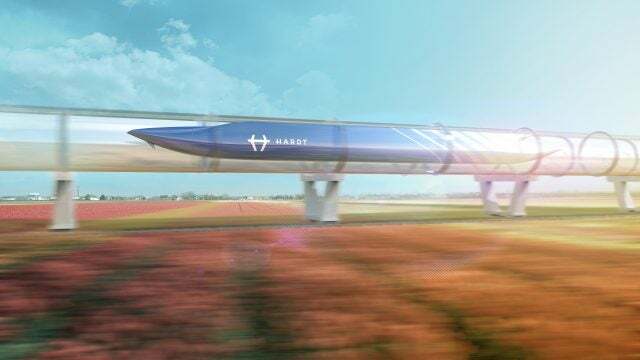 In addition to inspiring TransPod to enter the market, another SpaceX competitor went on to form their own European Hyperloop company. After winning the pod design competition in January 2017, members of the Delft Hyperloop team from Delft University of Technology created Hardt Global Mobility. Founded by Tim Houter, Hardt Global Mobility is the first European company built around the emerging transportation market. In June 2017, in association with TU Delft, construction company BAM, and Dutch national railway NS, Hardt has built a 30 meter tube and is preparing to fit the inside with rails and the shuttle that their team has designed. Hardt currently has around 20 team members and has partnerships with several companies as well. ET3 is an open consortium of licensees around Evacuated Tube Transportation. Founded by Daryl Oster in 1997, ET3 is built around similar evacuated tube technology but uses smaller diameter tubes and smaller pods that run along a frictionless maglev system that can run at speeds of up to 4,000 mph. In July 2013, Oster met with Elon Musk to discuss the technology before Musk released his white paper. Marketed as space travel on earth, Oster sees ET3 as a having the potential to create a planetary network. Oster created a licensing system for individuals and companies to access the ET3 intellectual property, with fees ranging between $100-$5,000 and ET3 asking for a 6 percent royalty on revenue when the system gets built. There are hundreds of licensees for the ET3 system, including Santa Monica based Hyper Chariot, which was founded by Nick Garzilli. After joining the ET3 Consortium in 2011, Garzilli announced plans to build an entertainment version of the ride using funds from an Indiegogo campaign. In August 2017, China Aerospace Science and Industry Corporation announced plans to run a system similar to the system described by ET3 to connect cities. Liu Shiquan, Deputy Chief Executive of CASIC stated that the company wanted to work with over 20 Chinese and international research groups to build the project. Physician, innovator, entrepreneur and futurist, is engaged in leveraging big data to help humanity work smarter. His research includes informatics, radiology, business intelligence, predictive analytics, sports medicine, advanced 3D printing. Dr. Morey is Medical Technology and Artificial Intelligence Advisor for NASA iTech / National Institute of Aerospace, and a Senior Medical Scientist on the ambitious IBM Watson Medical Sieve Project.